Over and above every act of irresponsibility to the nation and others in Nigeria, nothing tells of the extent of the erosion of our values like our collective attitude to our children. We are a country that has currently lost every capacity for shock. 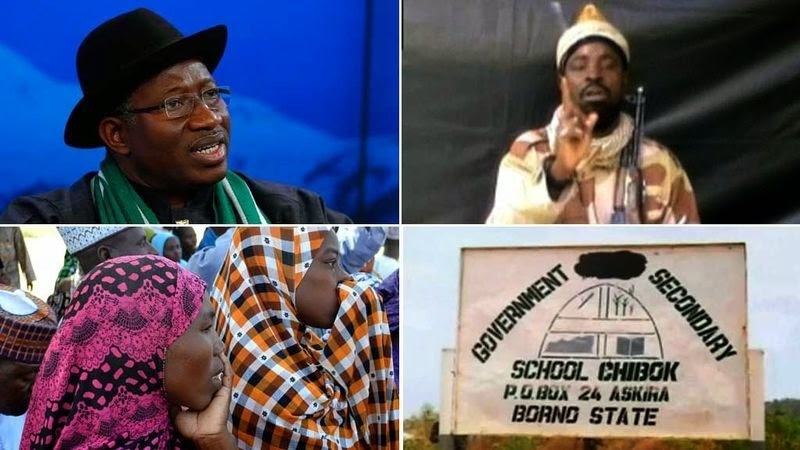 Nothing shocks Nigerians again, not even the abduction of over 200 girls from the GovernmentGirls Secondary School in Chibok, Borno State and the inability to find them after two weeks. It is a sad commentary that should make us all bow our heads in penitence. Apparently, we are a country with a dead soul. Imagine thepathetic drama that greeted the kidnap of those poor girls who wanted nothing more than a future for themselves and their generations. We did not even know the number of the girls that were in the school let alone the ones that were kidnapped. Not even the principal of the school, Mrs. Asabe Kwambura, could say with any finality. That to my mind is the levity with which people take responsibilities in Nigeria. There was so much confusion that one was even wondering if anyone was kidnapped at all. (A former Minister of Aviation, Mrs. Kema Chikwe, had even drawn the ire of many for asking for the photos of the schoolgirls if indeed they were abducted.) First, we learnt that 200 girls were abducted, then 129, then 16 escaped, then another 14 returned. So much muddling until the parents association in the school came out to tell the nation that an estimated 270 people were kidnapped out which 39 had found some way of escape. That was one week within which the school, the state government, the military and the Federal Government were beating around the bush. This Chibok event showed how much Nigerians have no one to care for them explicating the popular saying among the citizens that “everyone for themselves God for us all.” I cannot stop myself from asking why security could be so lax at this school or any school for that matter. And why even as we speak no one has owned up to their negligence in this matter. While the armed forces and the school bickered over the truth about the number of girls who may have escaped and those in the custody of their captors, parents resorted to self-help. Thousands of them went into the Sambisa forest on motor bikes seeking to rescue their children but how much can these poor, untrained parents achieve is left to be seen. But that is not exactly different from the way we do things in Nigeria. People are left to fend for themselves in Nigeria. Government cares about no one. You build your own home, provide your own water, find a way to bring power into your home, struggle to feed yourself and family, ensure that the road leading to your home is motorable and at the end of the day die on your own mostly without being noticed by the state that should ordinarily record your death. But then again, it is not just government that does not care about us. We do not even care about ourselves. Nigerians have over the years perfected the art of selfishness. What Pastor Taiwo Odukoya describes as the spirit of “me, I and mine” Most Nigerians are satisfied with themselves once everything is rosy. They give no damn what happens to the man next to them. One very simple example of this is our attitude in traffic. I have noticed that the average driver on Nigerian roads just wants to get to their destination, how they get there, they don’t care neither do they consider the need of another person to arrive at their own destination. So if the first man cannot have his way in traffic, it gives him great joy to see that no one else does. He could block traffic and hold everyone to ransom until some sensible person, or not so sensible person with authority, usually in uniform, comes around to force us to do what we should have done from the outset. We are a nation used to living our lives solo. It is the same reason why people get into positions of authority and steal the money that belongs to everyone just for the comfort of themselves and their families. It is the life to which we have all submitted to. However, we just cannot deal with this Chibok tragedy in our usual individualistic way. Do we even understand what the loss of 234 teenage girls, let alone girls who are determined to get educated, means to the future of this country? Girls who in spite of every danger and traditional encumbrances are just on the verge of completing secondary education? Do we understand that these girls are Nigeria’s version of Pakistan’s Malala Yousafzai and that these girls who already have attained secondary education represent a whole generation of people who can change this country? This is why Nigerians from all across the country must come together to fight for the release of these girls in every way we can. While I do not expect the security agencies to expose their plans for the rescue of these girls, I solemnly wish that some serious intelligence work is going on. I also hope that they are receiving utmost possible cooperation from and working from local authorities including the state government and the parents. Parents from all over Nigeria must come together to appeal to the abductors of these girls to release them unconditionally, as this is one of the most heinous infringements anyone could commit against humanity. But even while military efforts are going on, we must appeal to the sentiments of these people knowing that the girls are currently at their mercy. Above all, we must pray! I know this is not a popular thing among Nigerians but I see no more time that prayers can be more effectual than now. No one knows where these girls are, the conditions under which they are held and the temperament of their captors. But those who believe in God would agree that God knows. God is not only able to give divine wisdom to the security forces in the compulsory task of rescuing these girls, He is able to confuse the understanding of the people holding them and create opportunities for the girls to escape. That aside, it is shocking that the First Lady, Mrs. Patience Jonathan, has not found her voice in all of this. This is the time for her to rally forces for a multi –dimensional approach to solving this dilemma. The responsibility of her position is not just about adorning expensive jewelry and flying all over the world in presidential jets, it is about standing up for lives of the people of this country, especially women and children. I am also wondering if Governor Kashim Shettima of Borno State has a wife. We have not heard a word from her since this unfortunate incident. I do not even understand how anyone is able to sleep at this period of great national crisis. It is a time that we must all do something. I was told of an 83-year-old woman somewhere in Lagos State who has embarked on fasting and prayer on behalf of the kidnapped girls since the news broke. This is the attitude that we all should adopt without exception. This is what being human is about. Government at all levels, parents, the clergy, the media, indeed everyone must come together to condemn and fight this abominable crime which is damning not just on Nigeria of today but the future of the country. We must find the soul of this country again!